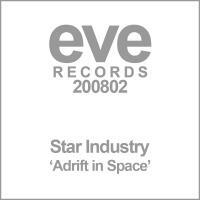 The triumphant return of Eve Records continues to gather pace with their second release of 2008. The production duo behind the Anguilla Project (Armada/Conspiracy) launch their new project, Star Industry with a beautifully melodic and uplifting chord driven tune. Flux Delux favourite "Icone" turns in a typically high quality interpretation as Eve hit the ground running in 2008. 'Adrift In Space' is available now from Beatport and iTunes.